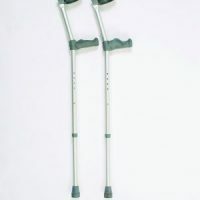 Lightweight aluminium crutches for those who can partially weight bear. Stable and durable with adjustable shaft and cuff height for optimal sizing. 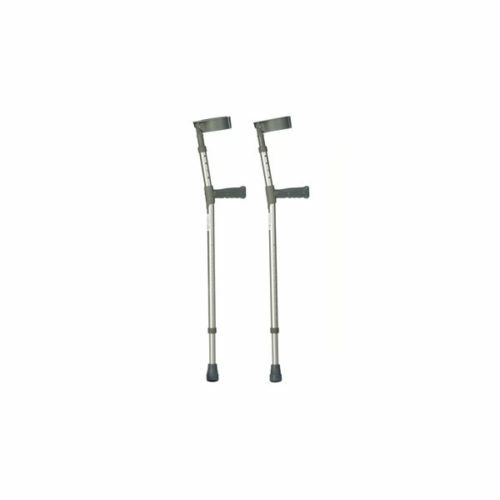 The shaft is made from a sturdy, yet lightweight aluminium making it strong and durable. 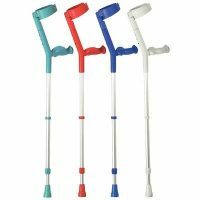 Both the shaft and cuff heights are easily and independently adjustable by push buttons, making them suitable for various user requirements. 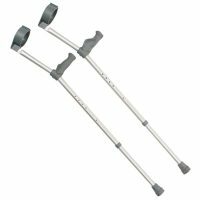 The crutch height adjusts in increments of 2.5 cm / 1” and the slip resistant, grey rubber ferrules provide extra security. They have latex free, PVC handgrips and moulded cuffs, to offer comfortable and secure support. Supplied in pairs.